"You're right. The tags distracted me. I need to stay with my original plan. I'm here to find Cinderella's shoes and see if they can lead me to my dad." The war may be over, but Kate Allen’s life is still in upheaval. Not only has she discovered that Cinderella was real, but now she's been made Keeper of the Wardrobe, her sole responsibility to protect Cinderella’s mystical dresses from the greed of the evil stepsisters’ modern descendants. But Cinderella’s dresses are just the beginning. It turns out that the priceless glass slippers might actually exist, too, and they could hold the power to reunite lost loved ones like her father—missing in action since World War II ended. As Kate and her boyfriend, Johnny, embark on an adventure from New York to Italy and Poland in search of the mysterious slippers, they will be tested in ways they never imagined. I haven’t had the opportunity to read Cinderella’s Dress as of receiving the opportunity to read Cinderella’s Shoes. So, once again, I’m jumping into an in-progress series without any background on the previous book. 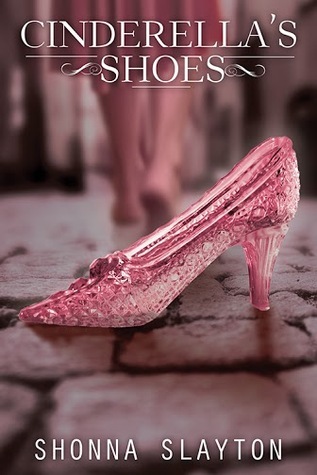 However, I seem to have quite the lucky streak going in regards to reading series titles out of order, because Cinderella’s Shoes is another novel I was able to fully enjoy without having already read Dress. I’m a sucker for fairy tale retellings, and Slayton did not disappoint. Cinderella’s Shoes finds Kate Allen, navigating not only the aftermath of World War II, but her job as the Keeper of the Wardrobe, in her quest to find her missing father. Cinderella’s Shoes is a perfect blend of a classic fairy tale, magic, and real world history, and I’m eager to get my hands on book 1 in the series.